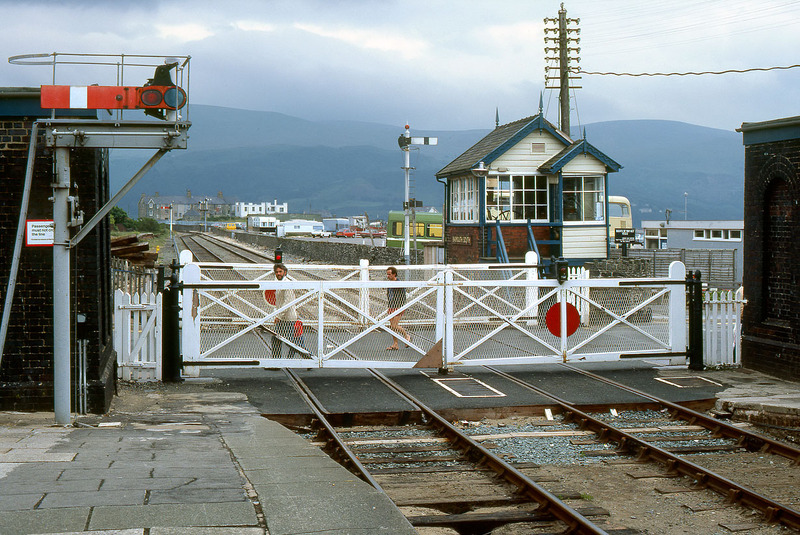 Vintage GWR infrastructure at Barmouth, pictured on a very overcast 18 June 1982. The semaphore signals, level crossing gates and signal box have all now been swept away. However, there is a happy ending, as the signal box has found a new home at Glyndyfrdwy, on the Llangollen Railway.